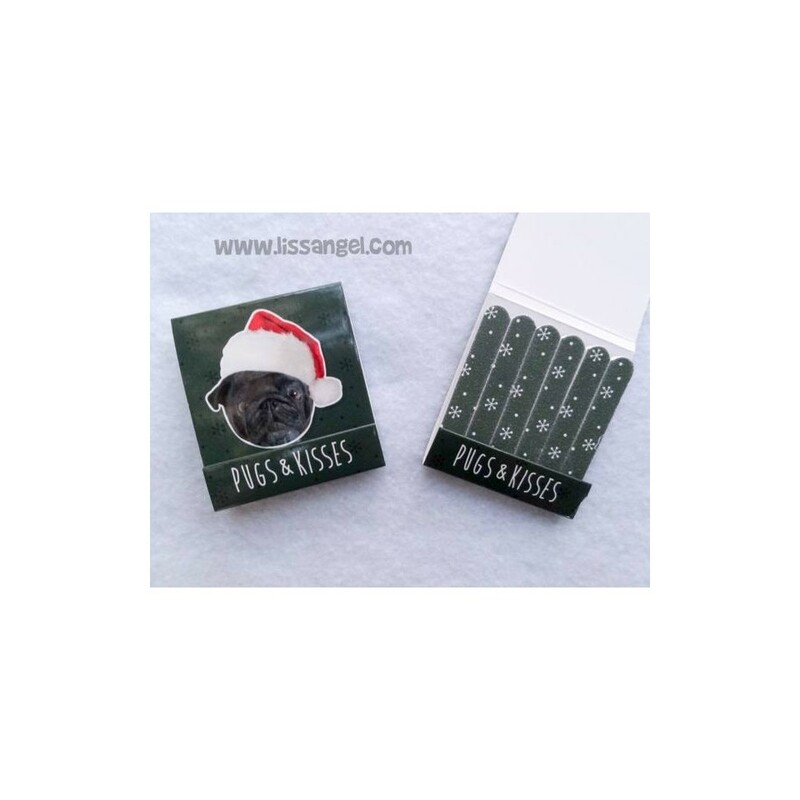 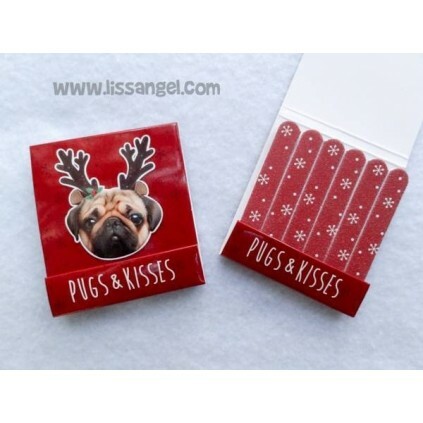 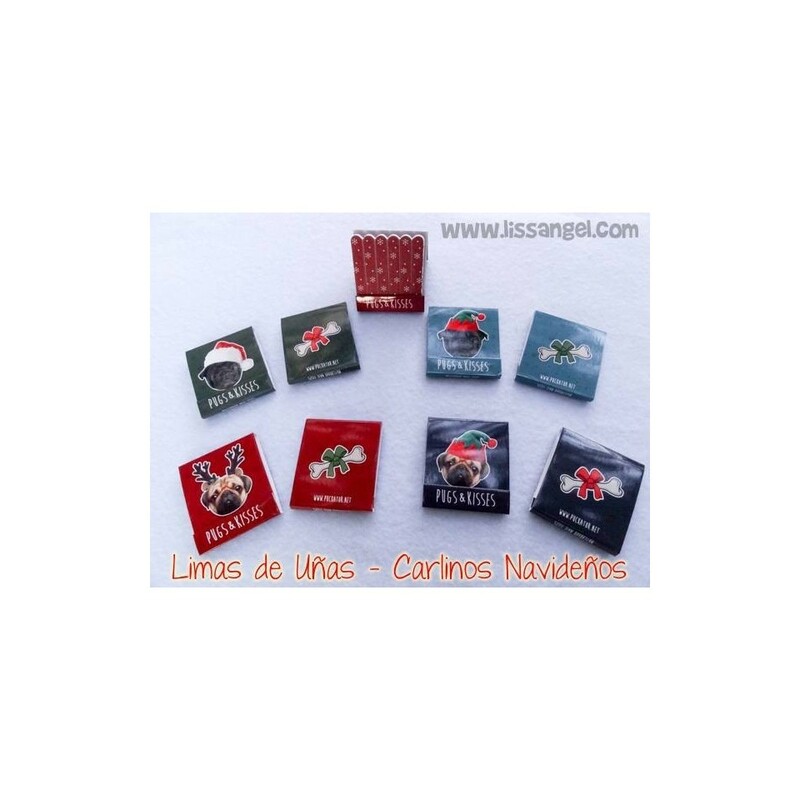 With these nail files you will take to the end your animal inspiration in Christmas. 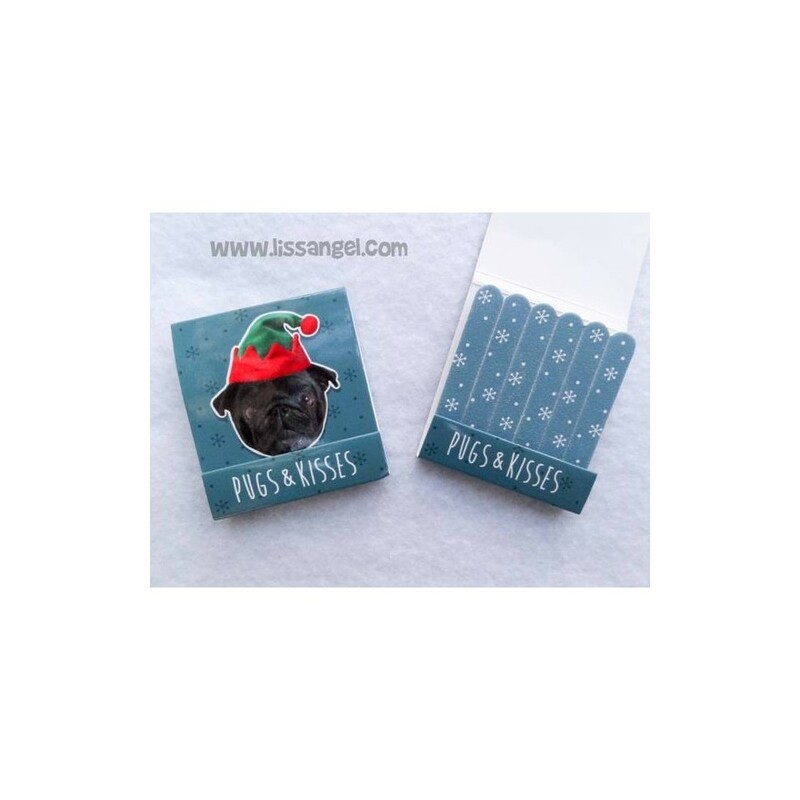 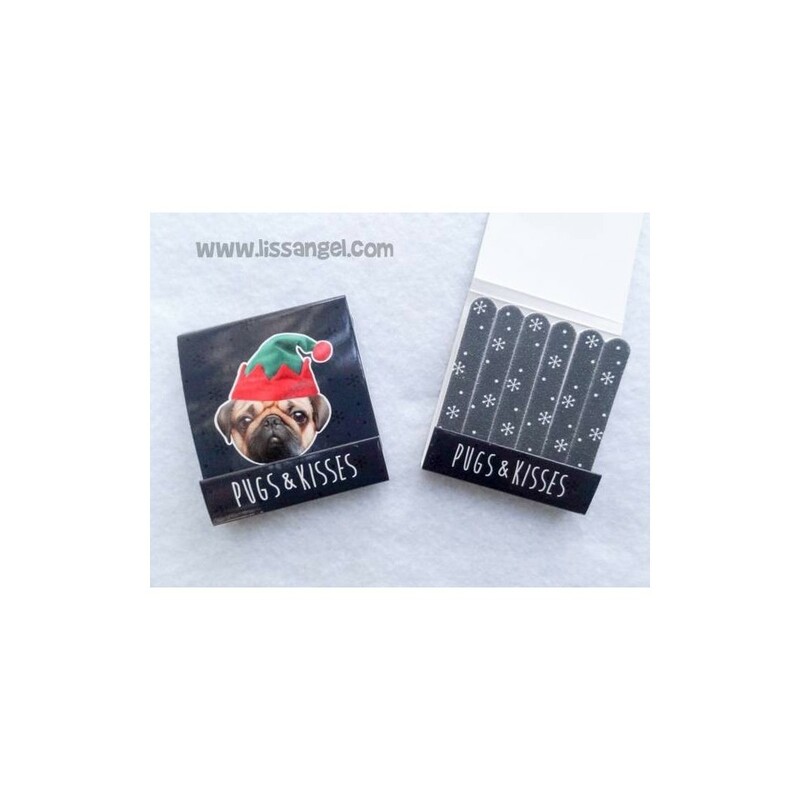 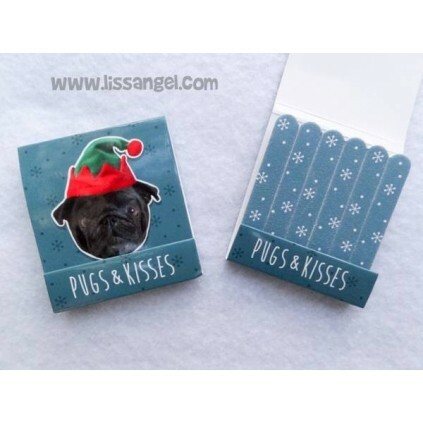 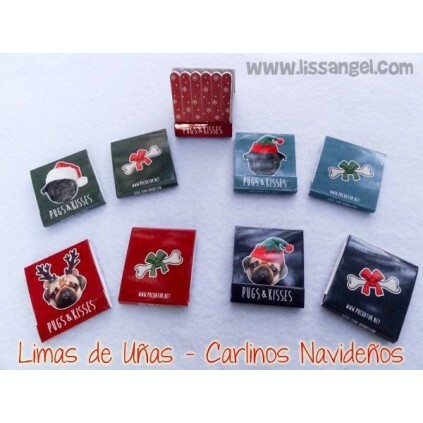 Nice funny pug dogs decorate the front of the nail boxes, with friendly Christmas hats. 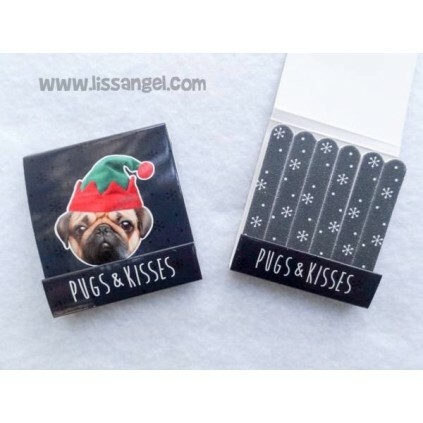 At the rear, a tasty bone with a tie finish to give that dog touch to the product. 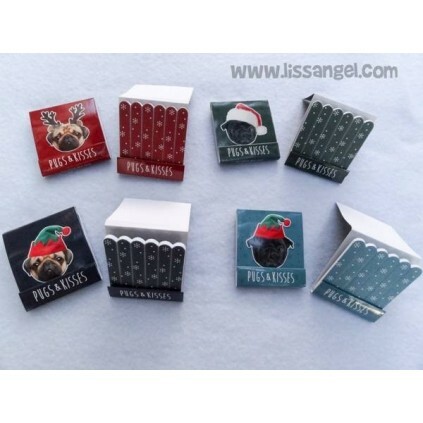 Each pack has six nail files, usable on both sides, each face has different roughness. 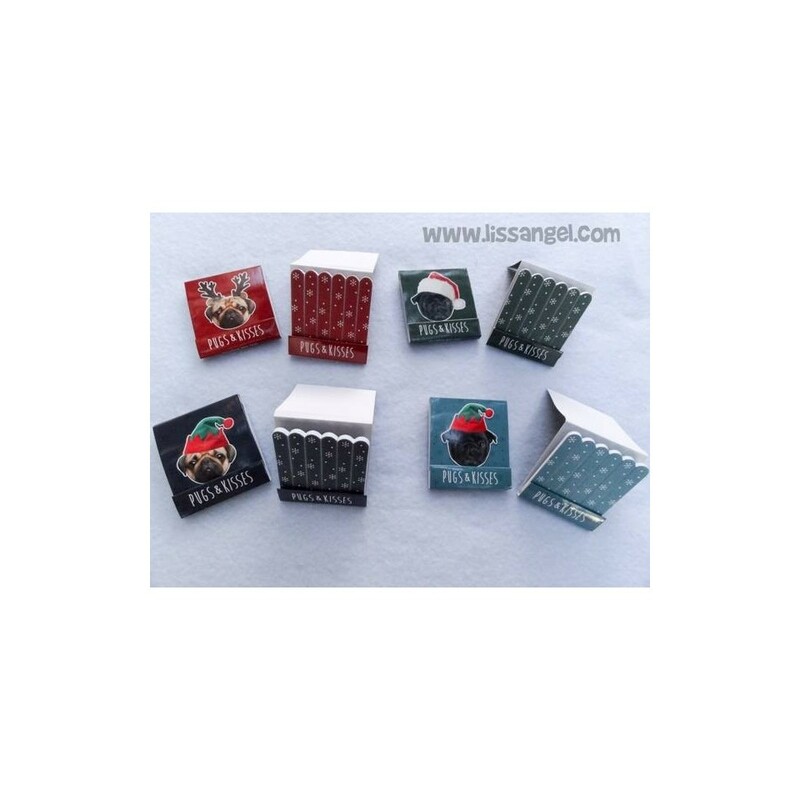 Choose the design you like depending on the color of the box. 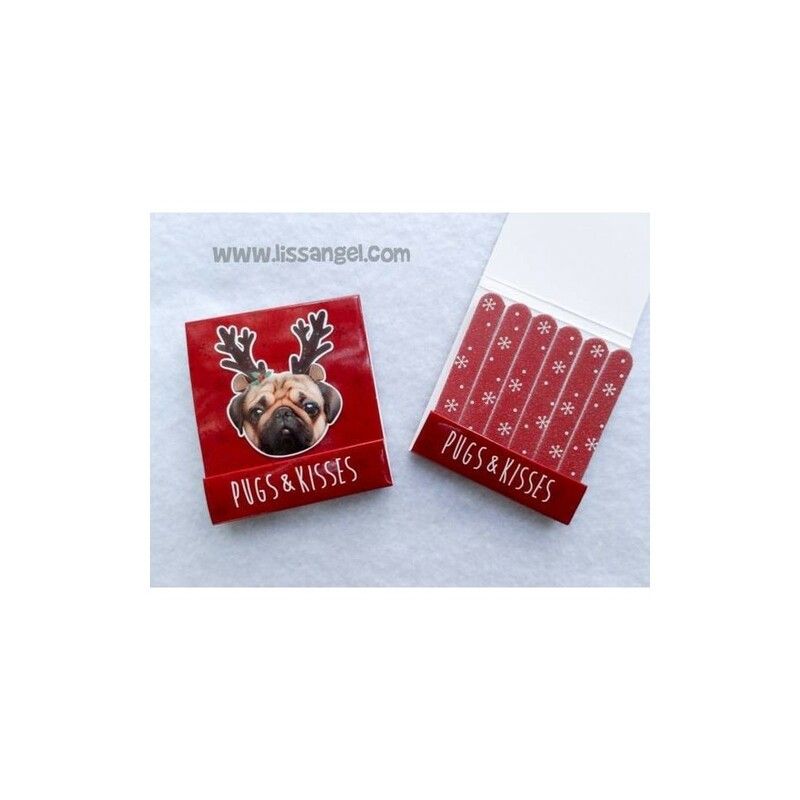 Our nail files decorated with animals are a nice, inexpensive, easy to use and convenient to carry in your handbag product, they weigh nothing!